6ix9ine may have struck a deal with the feds, according to reports. Tekashi 6ix9ine has been in federal prison since November after getting indicted on firearms and racketeering charges. Earlier this week, one of his associates was also indicted in connection to the Chief Keef shooting in Manhattan last year. According to reports, the rapper struck a deal with the feds in the case. According to TMZ, Tekashi 6ix9ine pleaded guilty to 9 counts in his federal case. The rapper reportedly struck a deal with prosecutors on Jan. 23rd. The rapper pleaded guilty to counts of conspiracy, racketeering, firearms offenses, drug offenses, and drug trafficking. Newly unsealed federal documents revealed that he was involved with trafficking heroin, fentanyl, ecstasy, amphetamines, and weed. As for the conspiracy counts, officials said those consisted of acts of murder, robbery, and extortion. The video of 6ix9ine offering $30K for someone to shoot at Chief Keef's cousin Tadoe was referenced by the feds in legal documents. They said that 6ix9ine "aided and abetted the shooting at rivals of Nine Trey [Bloods gang] at a hotel in Times Square." 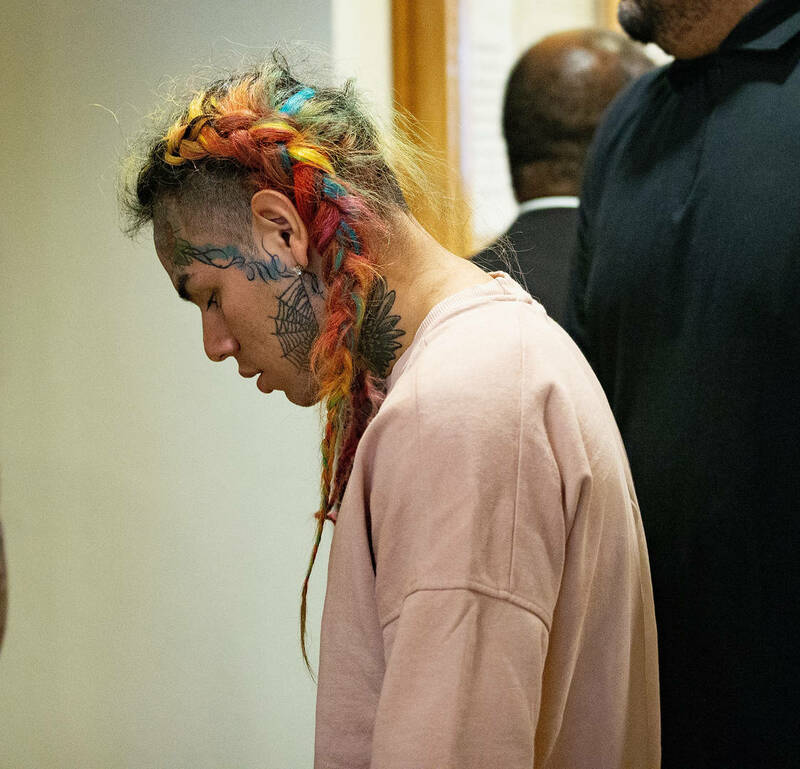 The shooting occurred in June of 2018 at Time Square a few days after 6ix9ine made the offer. 6ix9ine was initially speculated to have some sort of involvement in Chief Keef's shooting after someone opened fire on the Chicago rapper and his cousin Tadoe. 6ix9ine is reportedly scheduled for sentencing on Jan. 24, 2020.